Our unique business approach encompasses total building design by providing efficient, economical structures. We have developed our own structural engineering software that enables us to look at many alternate structural systems in order to deliver the most cost effective structural solution for your building. We value our partnerships with architects and contractors and remain an integral part of the team throughout the building process. This shared vision along with comprehensive experience in building system options is key in assuring that the best possible decisions are made in a timely manner. 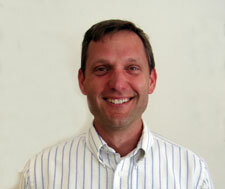 Jim Jendusa began Jendusa Engineering Associates, Inc. in May, 2000. He received his Bachelors and Masters degrees from the University of Wisconsin – Milwaukee in 1987 and 1992 respectively. As a licensed structural engineer in Wisconsin since 1991, Jim worked for a large design-build construction company for nine years and managed the Engineering Department. He has personally designed and detailed over 600 commercial facilities in the heavy industrial, retail, office, municipal, school, church and residential markets. Jim also has excellent experience with foundation inspections, repairs and expert witness services and has authored a best practice manual for foundation repair for the Wisconsin Association of Foundation Repair Professionals and the Building Inspectors Association of Southeastern Wisconsin. © 2019 Jendusa Engineering. All Rights Reserved.